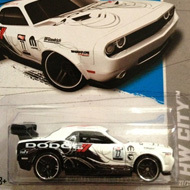 14/250 is part of the HW City series and the 2013 Treasure Hunt set. 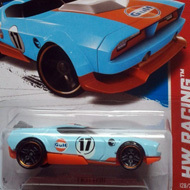 The blue Mustang features red, white, and grey graphics on the sides and hood. 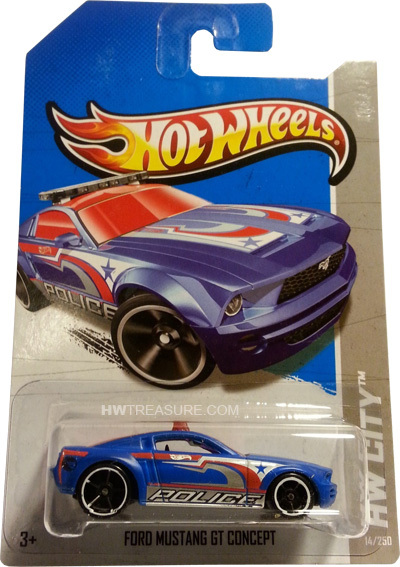 The sides also sport the Hot Wheels logo, “POLICE”, and the low production symbol. It has red tinted windows and emergency lights, a black interior, black PR5 wheels with chrome rims, and a black plastic Malaysia base. The car made its debut in the 2004 First Editions series. It gets its likeness from the concept car that premiered at the 2003 North American International Auto Show.